Statutory rules on transfer pricing are set out in Article 110 of the Italian Corporate Tax Act (CTA). Transfer pricing rules apply to corporation tax (IRES) as well as regional tax on productive activities (IRAP), pursuant to Article 1, Paragraphs 281 to 284 of Law No. 147/2013.2 There are no separate rules for capital transactions. Former guidelines from the Ministry of Finance were issued in 1980 with Circular Letter No. 32/9/2267, which provided principles and methods, based on the OECD Transfer Pricing Guidelines applicable at that time ('Transfer Pricing and Multinational Enterprises', OECD 1979), to be used in determining arm's-length prices. After a process of public consultation,6 the Ministry of Finance issued on 14 May 2018 a new document with regard to Italian guidelines for transfer pricing. The document aims at making Italian tax practice consistent with the 2017 OECD Transfer Pricing Guidelines and, among the issues covered, provides a specific definition of associated enterprises, a brief description and priority of the methods to be used, provides a definition of low value-adding services and introduces a definition of the arm's-length range. In relation to transfer pricing documentation, the relevant provisions were included in Law Decree No. 78 of 31 May 2010, which was subsequently regulated by the Decision of the Commissioner of the ITA of 29 September 2010 and by Circular Letter No. 58/E of 15 December 2010. The latter expressly refers to the OECD Guidelines in the version issued in 2010 ('Transfer Pricing Guidelines for Multinational Enterprises and Tax Administrations'). In Italy, where a transaction is found not to be compliant with the arm's-length principle, there are no specific corporate law implications; however, this could trigger legal or judicial actions aiming to protect the stakeholders' rights (e.g., due to overpayment of goods or services, or accounting fraud). As a general rule, the ITA requires the use of data from the public balance sheet and profit and loss (P&L) account. However, taxpayers carrying on several activities can use management data (taken from enterprise resource planning systems) for transfer pricing documentation purposes, as this allows them to develop a breakdown of the P&L for areas of business. This approach can be challenged by the ITA if the taxpayers are not able to produce a reconciliation with the statutory data. In addition, Italian accounting principles, as amended by Legislative Decree No. 139/2015 in line with IFRS standards, had an impact mainly on financial transactions as a direct consequence of the application of the amortised cost method. Additional work is also required for the proper identification of the relevant profit level indicator in respect of transfer pricing analysis because of the new representation of the extraordinary (positive and negative) items of incomes, now included in the operating income. In Italy, there are no specific transfer pricing returns and there are no mandatory reports to be prepared, but transfer pricing documentation is recommended as evidence of compliance with the arm's-length principle in inter-company transactions. Further, if the documentation complies with specific regulations, it allows the taxpayer access to the penalty protection regime provided for by Article 1, Paragraph 2 ter of Legislative Decree No. 471 of 18 December 1997. In this regard, documentation is composed of a master file and country-specific documentation (country file). However, the documentation requirements change depending on the taxpayer (i.e., subsidiaries are only required to prepare the country file, while sub-holdings and holdings are required to prepare both the country file and the master file). As a general rule, documentation for penalty protection must be updated annually, including the economic analysis, before filing the tax return for each financial year (e.g., by 30 September for companies with financial year ending 31 December). Small and medium-sized enterprises, defined as enterprises with an annual turnover of less than €50 million, are entitled to update the economic analysis included in their documentation every three years, provided that no significant modifications in the comparability factors have occurred. The filing of the documentation to the ITA must be executed within 10 days upon request. Tax auditors may also request additional information or documentation; in this case, the supplementary information must be provided within seven days upon request or within a longer time period depending on the complexity of the transactions under analysis, to the extent that the above period is consistent with the time of the audit. Once these terms have elapsed, the ITA is not bound to apply the penalty protection. On 23 February 2017, the Italian government issued a ministerial decree that sets out the terms and conditions for filing the country-by-country report (CbCR); implementing provisions were published in the decision of the Commissioner of the Revenue Agency, dated 28 November 2017. In particular, the CbCR must be filed within the end of the 12th month following the end of the taxpayer's financial year (consolidated accounts). The information required is aligned to OECD standard, except for some minor issues, due mainly to mismatches in Italian translation. The deadline for the filing of the CbCR for fiscal year 2016 was exceptionally postponed till 9 February 2018. Acceptable pricing methods are those recommended by the OECD. 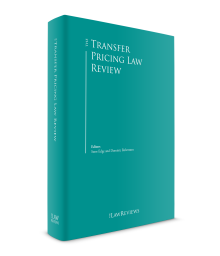 The selection of a transfer pricing method requires an explanation of the reason for choosing such method, also arguing why the results are consistent with the arm's-length principle. Transaction-based methods are usually preferred over profit-based methods and the comparable uncontrolled price (CUP) method, if applicable, is preferred over the resale price and cost-plus method.8 However, the ITA is aware of the difficulties of the CUP or the resale price method application met by the operators and so the profit-based methods (especially the transactional net margin method (TNMM)) are accepted. From a practical point of view, proof of the consistency of the method chosen is not possible without a careful selection of comparables. The approach of the ITA is often to perform a new benchmark analysis in order to check the results obtained by the taxpayers, and the tax challenges are usually based on the median value9 of the set of comparables resulting from the benchmark analysis. Since the ITA uses the databases provided by Bureau van Dijk, taxpayers also tend to use them, except for financial transactions or operations involving intangibles (royalties, etc.) for which different databases are used in addition to or instead of the databases provided by Bureau van Dijk. In addition to the above, the ITA has expressly stated in Circular No. 25/E 2014 that activities scrutinising transfer pricing matters must always be carried out with the primary aim of establishing a deeper understanding of the facts and circumstances of the case, also considering the actual economic conditions that characterise intra-group transactions. This approach is also required for managing the possible relationships with foreign tax administrations within MAPs. The ITA consists of two 'entities': the Italian Revenue Agency and Guardia di Finanza (the Tax Police), and they are both entitled to carry out inspections aimed at detecting the infringement of tax law. In recent years, the ITA has increasingly been carrying out inspections of companies that belong to multinational groups, with the aim of checking the consistency of the transfer prices applied in inter-company transactions. The approach of the ITA during tax audits is mainly oriented towards understanding the role of the Italian companies under scrutiny in the group's value chain, but also through requests for clarification about the activities performed by their foreign related counterparts. This is to check the consistency of the transfer pricing methods applied and the results of the benchmark analysis. The procedure for acquiring the information usually starts from the analysis of transfer pricing documentation, agreements in force and a breakdown of their figures. Face-to-face interviews can be held with the heads of the relevant departments, also for the purposes of tax rulings or advance pricing agreements (APAs). If necessary, additional information may be requested from the employees of the Italian company. However, in complex cases, and when the audit is carried out by the Tax Police, the tax auditors can look for evidence of the information provided by the company by asking for confirmation from third parties, such as customers or suppliers, and through access to and inspections of the premises of the taxpayer. For confidentiality reasons, audit results are not published. The possibility to ask questions or request documents from taxpayers outside the Italian tax jurisdiction is, however, limited to cases of joint tax audits with the foreign tax authorities. As a general rule, intangible assets held by each single company involved in inter-company transactions must be considered when setting the correct pricing. To this aim, when taxpayers prepare the transfer pricing documentation (master file), they are required to provide a complete list of such assets with a separate indication of any royalty received and paid, also specifying the licensor's and the licensee's names. Further, the list of the assets used in a specific transaction must also be reported in the country file, together with the contractual terms. Given the importance of intangible assets, for completeness, taxpayers are also required to describe any intangibles not reported in the financial statements (e.g., the know-how, the positive impact from synergies and the positive effects of networks). Any business restructuring that involves a reallocation of intangibles must also be included, in addition to the analysis related to the legal ownership and the time of creation of the assets. Recently in Italy, growing attention has been paid to matters concerning intangible assets from both sides (taxpayers and the ITA), with particular focus on the DEMPE11 functions. Such functions are key issues in determining prices for controlled transactions and in determining which entity or entities ultimately will be entitled to returns derived by the multinational enterprise group from the exploitation of intangibles. These functions are also subject to an in-depth analysis by the ITA when taxpayers apply for rulings, or in the case of MAPs. 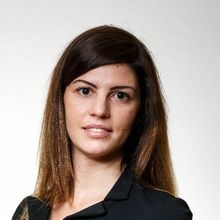 Additional to transfer pricing regulations, from 2015, Italian taxpayers may elect for a 'patent box' regime; taxpayers that apply for the patent box tax relief are required to explain to the ITA the contribution of the intangibles owned to the value creation to establish the tax benefit. To this aim, taxpayers must show both the costs incurred in creating, developing and protecting the intangibles, and the extra profits deriving from such intangibles. The methods deemed to be acceptable by the ITA for the calculation of the tax relief derive from transfer pricing criteria (CUP or profit split). Even if the ITA has not issued specific internal guidelines regarding intangible assets for transfer pricing purposes, further to the introduction of the patent box relief, it is reasonable to expect a more analytical approach even during ordinary tax audits on transfer pricing matters. It must be considered that, for new applications filed since 1 January 2017, trademarks are no longer included in the tax relief, according to the implementation of the OECD recommendations. It should also be considered that Circular Letter No. 32/1980 (see Section I) provides for 'safe harbour' ranges with respect to royalties paid by Italian companies for intangibles (royalties higher than 5 per cent must be justified by legal and economic conditions of the relevant agreement). General rules regarding settlements among taxpayers and tax authorities are applicable to transfer pricing assessments too. The typical settlement process, according to Legislative Decree No. 218 of 19 June 1997, takes place following a tax audit: after the notification of an assessment notice,12 the taxpayers have 60 days to challenge the assessment before the tax court or to submit a request to the ITA to reach an agreement. During the 90 days subsequent to the settlement request,13 taxpayers and the ITA can meet several times to discuss their positions and to exchange proposals. In the event an agreement is reached (before the deadline for the filing of the appeal against the assessment before the competent tax court), the settlement agreement is signed by both the taxpayer and the ITA; the taxpayer is then obliged to pay the related liability immediately.14 The settlement involves the years and matters applicable under assessment. If there are multiple years under assessment, they can be dealt with either together or separately. Normally, in the case of unvaried conditions, it is in the interest of both the taxpayer and the ITA to settle all the years under assessment in the same manner. Where an agreement is not reached, litigation continues before the tax court (see Section VII). However, a settlement can be reached even after the beginning of the judicial procedure, until the hearings take place before the second instance tax court. Applicable penalties15 are reduced in case of settlement; the reduction varies depending on the timing of the agreement (reduction to a third of the original amount before the beginning of the judicial procedure; to 40 per cent before the first instance tax court hearing; and to 50 per cent before the second instance tax court hearing). After the signature, the settlement cannot be disregarded either by the ITA or by the taxpayer. On the other hand, settlements are not binding for future years or different matters and are not automatically incorporated into an APA; they can only represent a starting point for future discussions. Settlements are generally confidential, as well as their contents; in some cases general information about the settlements reached by large multinational groups are made available. In the above-mentioned framework, APAs are recommended to reduce the risk of future assessments.16 The ITA is currently encouraging APAs in order to prevent litigations and to avoid recourse to MAPs (which are not effective at present, due to lack of human resources; for further details see Section IX.ii). Law No. 212 of 27 July 2000 provides taxpayers subject to tax audits with several rights and protections (see Article 12). A common issue that is deeply investigated during multinational enterprises' tax inspections relates to management fees and intra-group services; in particular, in cases where costs are borne by the Italian entity in respect of such types of services, the ITA often questions the deductibility in respect thereof, based on the general principle of inherence19 rather than on the basis of transfer pricing provisions (consequently with a higher risk of non-recognition of the full costs borne by the Italian entity, rather than restatement of the pricing of the transaction). Therefore, it is very important to keep adequate documentation regarding the detailed activities performed by foreign group entities for the benefit of the Italian entity (e.g., emails, meeting reports, flight tickets, hotel bills, contracts). The Tax Police issued the operative internal instructions applicable starting from 2018 related to tax inspections (Circular No. 1/2018). Among other aspects, the Circular provides specific guidelines that regard transfer pricing assessments, such as the acquisition of information regarding the method followed by the taxpayers for drafting the TP documentation, for instance by looking in the emails regarding the previous versions of the documentation, etc., to find out any possible omission or fraud. Tax assessments may be settled by reaching an agreement with the ITA (see Section V) or directly challenged before the tax court. Tax litigations usually take at least five years. Decisions of the courts of first and second instance are based on facts, while the Supreme Court's decisions can only refer to matters of law. 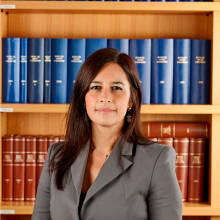 Before assuming their positions, the tax courts are allowed to engage independent experts in order to analyse the case, although it is not a very common practice. After the decision of the Supreme Court, in principle there are no further opportunities to discuss the litigation.28 Partial payments are imposed by law during the judicial procedure;29 in the event the taxpayer is the winning party, such payments are reimbursed by the ITA. 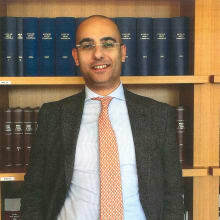 Generally speaking, transfer pricing litigation by the Supreme Court in Italy has been limited; the reason is that the tax courts do not have specific and in-depth knowledge of transfer pricing matters and consequently taxpayers often prefer to settle the assessment (before or during the judicial procedure) with the ITA, rather than bear the risk of an adverse decision. Transfer pricing regulation as an anti-avoidance provision and burden of proof in transfer pricing assessment:30 the main position of the Supreme Court is to consider transfer pricing regulation as a safeguard of the principle of fair competition among countries, rather than as an anti-avoidance provision (regardless of the tax rate of the foreign country involved in the case). As far as the burden of proof is concerned, the Supreme Court, in the latest cases, stated that it shall be fulfilled by the tax authority. However, the burden of proof can be reversed and may be transferred to the taxpayer, based on the assumption that the latter has a closer and deeper knowledge of facts, with particular reference to the deduction of cost. The scope of domestic transfer pricing provisions:31 the main position of the Supreme Court in the past was to consider transfer pricing provisions as general rules, applicable even to transactions among resident entities; the issue has finally been clarified by Legislative Decree No. 147 of 14 September 2015,32 which expressly excludes the application of transfer pricing provisions to domestic transactions. Intra-group services and shareholders' loans:33 the Supreme Court position confirms that costs deriving from intra-group services (i.e., in application of a cost sharing agreement) are deductible provided that the benefit for the receiver is proved by the taxpayer. With regard to interests on inter-company loans, the Supreme Court (as well as Provincial and Regional Courts) took different positions about the applicability of transfer pricing provisions to non-interest-bearing loans. The positions of the provincial and regional tax courts are very fragmented and do not represent reliable precedents since Italy is a civil law country; however, some recent tax courts' decisions make reference to transfer pricing methods, validating the use of the TNMM where transactional methods are not applicable. In Italy, there are no specific provisions for secondary adjustments and, in practice, they are not applied. On the other hand, if, in the event of a tax assessment, the documentation provided (master file or country file) is considered not to be compliant with Law Decree 78/2010 by the ITA, ordinary administrative penalties are applied, ranging from 90 per cent up to 180 per cent of the assessed higher income. Taxpayers can submit preliminary comments on the results of the tax audit before their formalisation in a tax assessment. After the notification to the taxpayer of the tax assessment is made, penalties can be challenged during a subsequent litigation (see Section VII). Regarding criminal law, penalties are applicable to any director signing the relevant tax returns if certain conditions, set out in Article 4 of Law 74/2000, are jointly met. In principle, provided that transfer pricing documentation complies with the Italian regulations, criminal consequences should be excluded. Thus, the wording of Article 4 is somewhat unclear and some tax offices are still giving notice of criminal offence to the competent public prosecutor. However, in the event of an agreement with the ITA before starting a formal litigation before the competent tax courts, it is becoming common practice for public prosecutors to stop any criminal law procedures. Profits that are deemed to be realised in Italy (even by non-resident entities)34 are subject to IRES and – to the extent they are related to activities performed in Italy – to IRAP. There are also specific additional anti-avoidance provisions aimed at addressing possible profits shifted to foreign countries, such as: controlled foreign corporation rules; presumptions regarding the residence of foreign incorporated entities; and permanent establishment provisions.35 These provisions have a broader scope than transfer pricing regulations, since they are enforceable even in the absence of controlled transactions. Double taxation represents a very important issue for multinational enterprises in Italy, since international dispute resolution instruments are not effectively implemented. In principle, there are two different applicable procedures: the EU Arbitration Convention,36 in the case of disputes concerning cross-border issues involving other EU countries; and MAPs provided by bilateral treaties (mainly based on Article 25 of the OECD Model Tax Convention) in cases involving non-EU countries. Further guidance is expected after the actual implementation of OECD multilateral convention. Italy was a member of the group that developed the OECD Multilateral Instrument (MLI) and signed the agreement on 7 June 2017. The process for ratifying the MLI has not started and the timetable for the ratification is not yet scheduled. As far as options are concerned, Italy has for the moment adopted a minimalist position, limited mainly to accepting the minimum mandatory changes, and during the ratification process the choices made may be still subject to amendments. A reduction of double taxation cases is also contemplated, according to the new Article 31 quater of Presidential Decree No. 600/1973 (see Section I). More specifically, letter (c) of the new Article applies when a foreign taxpayer that is associated with an Italian taxpayer is subject to a taxable adjustment deriving from the challenge of the transfer pricing criteria applied in a controlled transaction. the jurisdiction where the primary adjustment is set must have entered into a double tax treaty with Italy with an adequate exchange of information. After 30 days, the request is declared admissible by the Italian Revenue Agency, provided it contains all the elements indicated in the regulation, including information and documentation specifically regarding the adjustment set by the other jurisdiction. The Italian Revenue Agency may invite the relevant company to further discuss the aspects examined. The procedure has to be concluded within 180 days of the receipt of the request. When necessary, the Italian Tax Authority has the faculty of requiring, through specific international cooperation tools, information to the other jurisdiction regarding the adjustment. In this case, the period of 180 days is suspended. If the request is accepted, the Italian Revenue Agency determines the downward adjustment43 of the corresponding adjustment, as set by the other jurisdiction. Italian legislation does not expressly address the value added tax (VAT) impacts of adjustments made for transfer pricing purposes; pursuant to the applicable law, the VAT-taxable base is represented by the contractual consideration.46 In general, adjustments made by the tax authorities can take either the form of price adjustments (difference affecting the prices of specific products or services sold, purchased or rendered by the company) or profitability adjustments (difference on the companies' margins so as to align them to the benchmark profitability). In the first case, the adjustment can have an impact on VAT (both in case of products sold and services rendered) as well as regarding customs; in the second case (profitability adjustments), the adjustment should be excluded from VAT and from the customs-taxable base, in line with the VAT Expert Group working paper VEG No. 071 REV2. Article 156 bis of Council Regulation (ECC) No. 2454/1993, stating the possibility for the business operator, only in import transactions, to make a lump-sum payment. Both procedures are to be authorised by Customs. The increasing attention that the ITA is paying to multinational groups and cross-border matters has entailed a greater focus on the tax risks deriving from transfer pricing matters. The ITA has become more skilled in matters concerning transfer pricing IT and OECD Guidelines, and moreover, particular attention has been paid to intangibles since the introduction of the patent-box regime. As such, transfer pricing assessments have improved in terms of technicality and precision of the challenges. New guidelines and implementing provision to be issued should realign Italian tax practice with the 2017 OECD Guidelines, replacing the old Circular Letter 32/1980. On the other hand, domestic judicial procedures remain lengthy and uncertain, and international dispute resolution instruments are still ineffective; consequently, multinational groups often face a high risk of double taxation. The actual impact of the new Article 31 quater of Presidential Decree No. 600/1973 is still unknown since the draft regulation remains ambiguous in certain areas. Thus, material clarification is expected from the tax administration in the final version to be issued in the next few months. In these circumstances, the importance of APAs is growing to reach a good degree of assurance, even though timing could become a material issue. On the practical side, it would be helpful if the ITA aligned its internal procedures to the ever-changing economic environment, and released additional guidance regarding specific issues and business sectors consistent with the OECD Guidelines. 1 Franco Pozzi is a partner, and Lisa Vascellari Dal Fiol, Stefano Grossi and Valentina Bertolini are associates at Studio Legale e Tributario Biscozzi Nobili. The information in this chapter was accurate as of 21 May 2018. 2 Transfer pricing rules apply to resident companies and permanent establishments of foreign companies resident in Italy. 3 Please note that entities controlled by the same individuals are within the scope of the provision. 4 Introduced by Law Decree No. 50/2017. 5 The Ministry of Finance released for public consultation a draft that contains a guidance to implement the new aspects delineated under letter (c). Further aspects regarding this new regulation are discussed under Section IX.ii. 6 The public consultation of the draft ended on 21 March 2018 (further information available at: http://www.mef.gov.it/focus/article_0040.html). The public consultation regarded both a draft decree about Italian guidelines and draft regulation on unilateral downward corresponding adjustments (see Section IX.ii). On 8 May 2018, the Ministry of Finance organised a meeting between contributing authors of the draft documents, including Studio Legale e Tributario Biscozzi Nobili. During this meeting, new draft documents concerning Italian guidelines and regulation on unilateral downward corresponding adjustments circulated between the participants, its implementation regarding the original version. Participants were required to not divulge these draft documents as they are subject to further possible amendments. On 14 May 2018, the final decree regarding Italian Guidelines was issued (the publication in the Official Journal is still expected), whereas the regulation on unilateral downward corresponding adjustments is still being drafted. 7 Decision of the Commissioner of the Revenue Agency, dated 29 September 2010. 8 This approach is consistent with the draft regulation mentioned above, presently under consultation. 9 This approach is expected to be revised in accordance with 2017 OECD Guidelines once the implementing provisions related to the new Italian guidelines on transfer pricing will be finally released. 10 See BEPS Action 13. 11 Developing, enhancing, maintaining, protecting and exploiting intangibles. 12 After investigation activities are concluded, and before the notification of an assessment notice, tax authorities usually issue a preliminary report (PVC) addressing the proposed adjustments to taxpayer position and taxable income. After the PVC notification, the taxpayer has 60 days to reply with comments, observations and requests. Otherwise, the taxpayer has the opportunity to settle the audit by correcting its tax return and paying (in part or in full) the liability contained in the PVC. In such cases, the applicable penalties are reduced to one-fifth of the original amount. 13 During the 90-day period of discussion, the deadline to challenge the assessment is suspended. Note that the opportunity to request a settlement cannot be used in an opportunistic way to increase the time frame or to delay the opposition period; in case of abuse, tax authorities can decide to stop the discussion even before the 90-day period has elapsed. 14 An instalment plan can also be granted. 15 In principle, penalties should not be applicable for transfer pricing assessment, provided the taxpayer is compliant with the penalty protection regime (see Section II). 16 Rulings for multinational enterprises have recently been modified by Article 31 ter of Presidential Decree No. 600 of 29 September 1973; the new procedure is regulated by the Decision of the Commissioner of the Revenue Agency issued on 21 March 2016. 17 Reference is made to Presidential Decree No. 600 of 29 September 1973. 18 In principle, investigations based on physical access to the taxpayer's premises cannot last more than 30 days – even when not consecutive. This can be extended for an additional 30 days only, in case of particular needs. 19 As a general rule, the CTA allows deductions of costs only to the extent they are connected to the taxpayer's activity and to the extent they refer to services that have actually been rendered. 20 However, it must be noted that different tax offices could assume inconsistent positions on such matter. 21 Reference is made to Article 43 of Presidential Decree No. 600 of 29 September 1973. 22 In the event the filing of the tax return has not been done, the deadline for the tax assessment is the end of the seventh year of the date in which the tax return should have been filed. 23 For previous fiscal years different terms are applicable. 24 The relevant provisions regarding the tax litigation procedure are contained in Legislative Decree No. 546 of 31 December 1992. 25 Summer holiday suspension (from 1 to 31 August) should also be considered. 26 The term is reduced to 60 days in the case of formal notification of the decision by the winning party. 28 In exceptional and specific cases identified by law, even the decision of the Supreme Court could be reviewed. 29 Under certain conditions, a petition to suspend the collection of the partial payments can be submitted either to the competent court or to the ITA. 30 For example, Supreme Court No. 2805, 5 February 2011; Supreme Court No. 11949, 13 July 2012; Supreme Court No. 10739 and No. 10742, 8 May 2013; Supreme Court No. 22010, 25 September 2013; Supreme Court No. 15282 and No. 15298, 21 July 2015; Supreme Court No. 16398, 5 August 2015; Supreme Court No. 6311, 1 April 2016; Supreme Court No. 6656, 6 April 2016; Supreme Court No. 7493, 15 April 2016; Supreme Court No. 13387, 30 June 2016; Supreme Court No. 26545, 21 December 2016. 31 For example, Supreme Court No. 17955, 24 July 2013; Supreme Court No. 8849, 16 April 2014; Supreme Court No. 13475, 13 June 2014). 32 See, in particular, Article 5, Paragraph 2. 33 For example, Supreme Court No. 16480, 18 July 2014; Supreme Court No. 27087, 10 December 2014; Supreme Court No. 15005, 17 July 2015; Supreme Court No. 7493, 15 April 2016; Supreme Court No. 13387, 30 June 2016; Supreme Court No. 9466, 12 April 2017; Supreme Court No. 11094, 5 May 2017; Supreme Court No. 25566, 29 October 2017. 34 With the exception of individuals. 35 Domestic definition of permanent establishment was recently amended to make it consistent with BEPS Action 7; moreover, a new specific tax provision regarding digital transaction (so called 'web tax') has been introduced by the budget law for 2018. The web tax is imposed at a rate of 3 per cent on the value of the taxable digital transactions, i.e., the amount of consideration paid (net of VAT) in exchange for the provision of digital B2B services supplied electronically. It is applicable both to resident and non-resident enterprises and it is expected to become effective from 1 January 2019. 36 Reference is made to EU Convention No. 90/436/CEE, which has been implemented in Italy with Law No. 99 of 22 March 1993. 37 Only a few treaties in force among Italy and foreign countries include an arbitration phase, which can be either discretionary or mandatory (e.g., Armenia, Canada, Chile, Croatia, Hong Kong, Jordan and the United States). 38 The matter is analysed in depth in Circular Letter No. 21/E issued by the Italian Revenue Agency on 5 June 2012. 39 In such cases, particular attention has to be paid to the expiry of terms to challenge the assessment and to discuss the controversy before the national courts (for more details, see Section VII). 40 Reference is made to Article 39, Paragraph 1 ter of Legislative Decree No. 546/1992. 41 The process of public consultation (see footnote 6) regarded the draft regulation on unilateral downward corresponding adjustments, but further steps are expected before the document is finalised. 42 The fact that the primary adjustment in the foreign country must be at a final stage was an aspect further discussed during the meeting (see footnote 6) that followed the public consultation, since it would limit the application of MAPs in cases of expiration of their deadline. The Ministry of Finance is working on a solution that makes both instruments compatible. 43 The technical modality through the downward adjustment is still a point under discussion. 44 Based on the last official report on international rulings, issued by the Italian Revenue Agency on 19 March 2013 (reference is made to 'Bollettino del Ruling di standard internazionale – II edizione'), there were 19 bilateral APAs under discussion as at 31 December 2012; the countries involved were: the United States (four requests), Germany and Switzerland (three requests each), Japan, the Netherlands and Sweden (two requests each), France, Spain and the United Kingdom (one request each). if they are issued, amended or renewed between 1 January 2014 and 31 December 2016, the exchange shall take place irrespective of whether they are still valid. 46 Reference to the 'arm's-length principle' for VAT purposes is provided in exceptional cases only (Article 13, Paragraph 3 and Article 14 of the VAT Code). 47 During the meeting for the public consultation mentioned at footnote 6, it was explained that new specific dispositions are expected with regard to VAT and customs aspects.